All CFM Performance items are proudly 100% made in the USA. 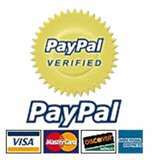 This oil tank is guaranteed to be the highest quality that you can get anywhere, at any price, or your money back!!! Made 100% from american made raw materials, not cheap imported aluminum that is likely to fail from heat and vibration. 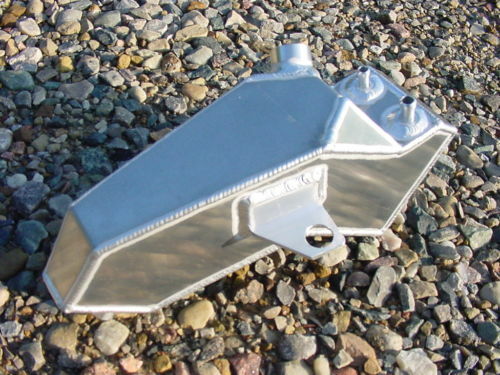 You can expect to see a temperature drop of 20 degrees F.
The only oil tank that will fit with any exhaust system. The only oil tank that will work with any nerf bars. Lifetime guarantee against leaks and broken drain fittings. Broken drain fittings and leaks are common problems on the stock oil tank. If you ever break a CFM tank, send it back and CFM will replace or repair it for FREE. A leaking oil tank can ruin your riding trip and destroy your engine. 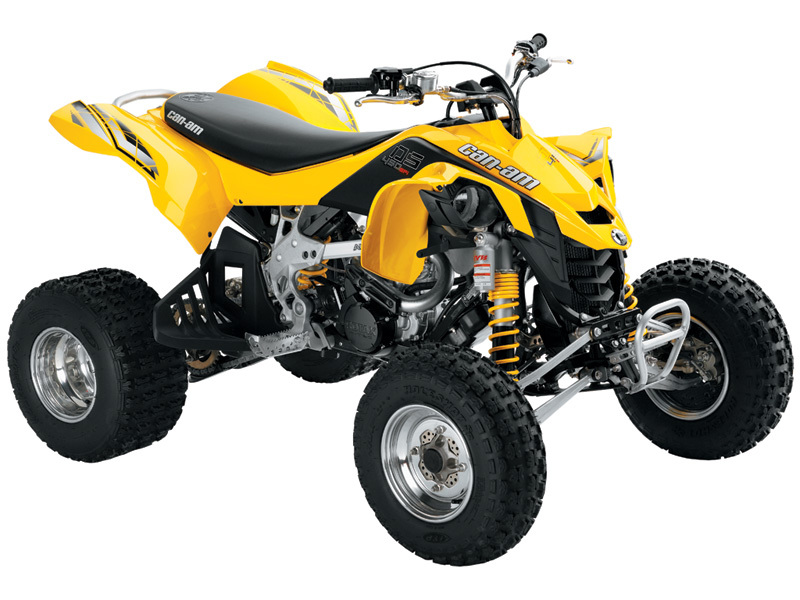 CFM Performance has been a leader in the aftermarket ATV business since 1993 so you can buy with confidence. Will fit any year and model Can Am DS450. The most efficient way to cool the oil in your Can Am is by increasing the oil capacity. This oil tank holds 10% more oil than the stock oil tank. Expertly TIG welded in a fixture for a professional finish, perfect fit, and a tank that will never fail. We pressure test each oil tank at 5 times the pressure it will see in operation. Built with 5052 series aluminum for high strength, maximum heat dissipation and excellent corrosion resistance. 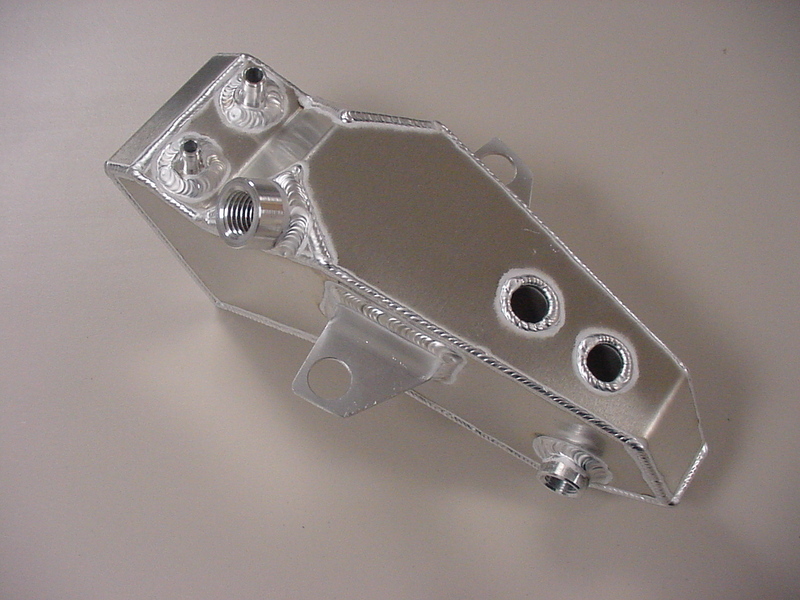 Brackets are 7075 series aluminum. The strongest aluminum alloy ever made. Uses all of your stock lines, drain plug, dip stick and mounting hardware. No extra items to buy. No modifications are required. All CFM Performance items are proudly 100% made in the USA.This oil tank is guaranteed to be the highest quality that you can get anywhere, at any price, or your money back!!! Allows air to flow through the oil tank to cool the engine. This oil tank holds about 10% more oil than the stock oil tank.